In our “24 Hours In” series, we present good ideas of what to do in the featured city over a full day. 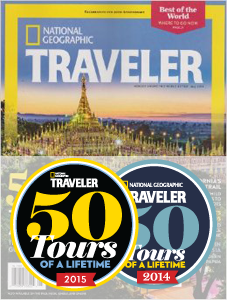 The destinations we’ll be covering include cities that are often traveled through, but not in on your custom tour. These cities often act as international flight hubs on your way to a destination, and layovers can extend from hours to a full day at times. So if you’re in a city on your way to or from your destination, following are some of our favorite things to do there! 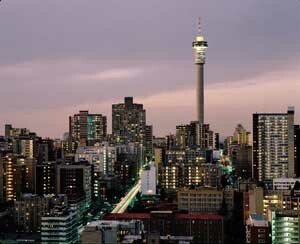 Johannesburg, as ever, is the cultural and economic heart of South Africa. If you are exploring this beautiful country, or any of its neighbors, there is a good chance you will spend at least a layover in this city of 4.4 million people. Regional flights to Namibia, Botswana, Zambia, Zimbabwe, and even Madagascar all pass through its gates multiple times a day. Many Global Basecamps travelers express concern, and even occasional fear, at spending time in what is internationally known as an unsafe city. Though Johannesburg served as a stage for the greater drama of the South African 20th century, the city has striven to improve its international image through urban renewal projects, accelerating these in the run-up to the 2010 World Cup. We would love to say that the city is completely traveler-friendly and safe, but unfortunately the signs of a turbulent history are still present throughout. Like with any other large urban center in the world though, an easy set of “street smart” rules will help avoid most if not all of these risks. These include not walking alone at night, sticking close to one’s traveling group and being aware of one’s surroundings. All that being said, Johannesburg (aka Joberg or Jozi) is still a vibrant city alive with the constant activity of 4.4 million people living and working together. Twenty four hours can really fly by if you’re not careful! The city was designed with cars in mind, and they are the easiest way to get around town. A safe public bus system is available, as well as a train to certain parts of the city. Assuming you are arriving via the airport, you can catch a taxi outside the terminal building, (avoid the taxi drivers offering rides inside the terminal itself, they are not licensed and will most likely charge you extra) or rent a car from the few car rental businesses near the airport. A logical first stop during your time in Joberg is the Carlton Center. An observation deck on the 50th floor offers a panoramic view of the city. The Carlton Center narrowly beats out the Hassan II Mosque in Casablanca as the tallest building in Africa. Nearby in downtown, there are a number of art galleries and outdoor art installations, a central facet of the city’s urban renewal project. 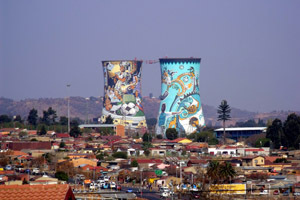 Another popular tourist activity on South African Safaris is an organized tour through Soweto. An acronym for South Western Townships, this neighborhood is huge. Historically known as an impoverished neighborhood, a number of sites here have slowly transformed the area into a tourist destination. Though group tours are still a popular method of exploring Soweto, it is very possible to explore on one’s own. Street conditions are excellent, and signage is easy to understand. Unless you are accompanied by locals, you may not want to stray from the tourist-friendly Orlando West area. Popular sites here include the Mandela Family Museum and the Apartheid Museum, as well as common insights into an area indicative of the change in South Africa during the 20th century. Pilanesberg Game Reserve is an hour’s drive northwest of the city, and various safari companies offer group and private game drives into the park. If you felt like you could have seen a few more big game mammals during your time in South Africa, this is a perfect opportunity. 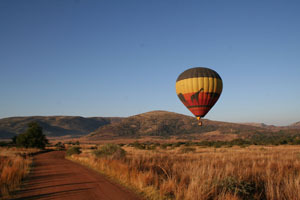 Pilanesberg has recently become the country’s most popular park, over Kruger, and is well worth a visit. As far as locally made handicrafts are concerned, you will not be lacking options during your time in the city. Craftsmen and women abound on streets and sidewalks everywhere, and most local beadwork and wirework is beautifully made. There are more than the usual amount of daily flea markets here for a city its size as well. Johannesburg, like every other international city in the world, has a multitude of options for dining including Asian, European, American and local restaurants. This is a good time to bring up Joberg’s shopping malls. Traditionally, these have served as a common meeting ground for the city’s more affluent population as they are generally safe and clean. They also are home to many of the city’s restaurants. Johannesburg is also one of the rare cities with a collection of “restaurant streets” that cater to travelers and residents seeking a more European dining. The most popular of these are 7th St in Melville, Gleneagles Road in Greenside, and Grant Avenue in Norwood. The downtown area, of course, also has a number of delicious international and local options.